TAIG hosted this free conference, providing a wide range of insight into the potential and pitfalls of trade policy to regulate the Internet. Panels included: views from the US, EU, and Canada; a discussion of privacy, intellectual property rights, and Internet freedom; and new ideas to promote trade and Internet freedom. Lee Hibbard from the Council of Europe offered “A Human Rights Perspective”, and Andrew McLaughlin of betaworks gave the luncheon keynote address on “The Future of Internet Freedom”. The full agenda is here. 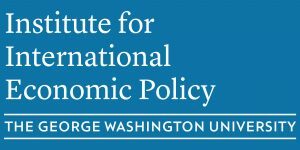 The conference benefited from the support of the John and Catherine T. MacArthur Foundation, the Heinrich Böll Foundation, the Computer and Communications Industry Association, the Software and Information Industry Association, the Center for International Business Education and Research (CIBER) at GWU, the National War College and the Minvera Initiative. Our policy brief, “Can Trade Policy Set Information Free? Trade Agreements, Internet Governance, and Internet Freedom” is here.